Whether you’ve been in the home improvement industry for a while or if you’re just starting out, there’s a lot to gain out of putting in an effort to enact the right marketing strategy. Most of the time, business owners and service providers believe that marketing is a one-size-fits-all effort. That is – all strategies can be exactly the same regardless of what industry you’re in. 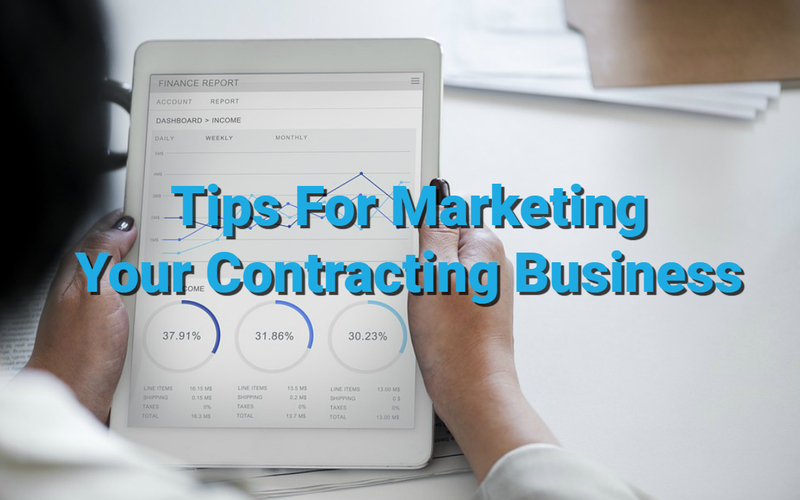 If you’re reading this, then you probably already know that marketing tactics used by businesses in other industries won’t work the same way on an audience in search of home improvement services. So if you’re looking for the methods that will work most effectively in your niche, keep on reading. We’ve listed seven of the best industry-specific tactics to help expand your reach, improve your reputation, and rake in those new clients. 1. Use DIY Forums – Where do your potential clients go first when they need any sort of help with their home improvement concerns? Often, clients won’t be immediately ready to call in a professional right off the bat. This is usually because they hope that they might be able to resolve the issue on their own and curb the cost. So they’ll visit forums and ask questions directed to other people who have gone through and successfully resolved the same problems in the past. You can leverage these opportunities by taking part in forum discussions. Seek out users in search of answers to DIY concerns, and provide truthful, factual, and appropriate input such which is the best time to do A/C system inspection or which are the best kitchen faucets. At the end of your response, you can provide your contact information in case they might need any more assistance. 2. Get Listed in Home Improvement Directories – When searching for the right home improvement contractor, clients will often compare and contrast their choices. That’s because no one wants to spend their money on anything less than the best for their specific standards. With that, maintaining a presence where your competitors are will always work to your benefit. Getting yourself some exposure on home improvement directories will make you more accessible to your audience. Plus, having your name appear alongside other popular names in the industry, you make yourself a formidable competitor and a potential choice for lots of discriminating clients. 3. Engage with Your Local Community – Clients will often come from areas that are near your physical location for the purpose of convenience and practicality. So make sure to gain their trust and patronage by engaging with them in whatever ways you might find. Some possible strategies you can try to establish a better reputation in your locality would be to take part in fairs and events relevant to your niche. You might also want to try organizing a few seminars and workshops to provide specific, industry know-how they’re not likely to find online or in books. 4. Use Social Media to Engage with Your Customers – The more accessible you are to your clients and prospects, the more comfortable they will feel transacting with you. These days, people in search of services will often look first to the internet to find out everything they can about names in the business. If they find one that piques their interest, they’ll try to engage by asking for clarifications through private messages, emails, or even just comments. As a service provider who wants to establish a better, positive reputation, it would be in your best interest to respond to all these inquiries and comments in a timely manner. You get even bigger plus points by answering each individual with a unique and specific response instead of feeding them automated replies that don’t really provide them the answers they’re looking for. 5. Be Helpful with Content Marketing – Content marketing is a strategy used by businesses to provide readers, clients, and prospects the valuable information they’re not likely to find elsewhere. If you’ve got a way with words, you can write your own articles related to your niche and post them on your official business blog. This way, your clients, and prospects have a reason to keep coming back to your website knowing there’s always something new for them to read up on. Try coming up with how-to guides, tips, and list type articles to give your audience fact-based tidbits they can keep for future reference or use to answer issues they might be experiencing with DIY and home improvement projects. It also doesn’t hurt to redirect to your offered services when appropriate. 6. Remind Past Clients What Else You Offer – It’s more likely for a past client to return for more services than for new clients to come rushing in the door. So make sure you take care of your past patrons by updating them on your latest offers, promos, or follow up services they might want to avail of. Newsletters, email subscriptions, and SMS message updates are great ways of keeping your past clients posted on your latest promotional offers. You can also choose to get a little more personal by getting in touch with each client to provide them suggestions that are specific to their needs and preferences. 7. Use Google My Business – Google My Business is a free platform that allows you to create a search result for your business name which will appear when people look for you on Google. This small page can contain a wealth of information about your business and can answer some of the basic questions that people usually have before engaging with a service provider. For instance, if you run an AC repair service, your Google My Business page will let you share information like your operating hours, services offered, images of your physical store, contact details, and your exact business location, to name a few, with people who search for you through Google. Some clients can even share air conditioning jobs you’ve done in the past by sharing their reviews on your business. By providing these basic details, you can make it easier for prospects to reach you and thus engage in a transaction. With all these new strategies and platforms, marketing is a whole lot more competitive than it used to be. These days, it’s all about a powerful online presence and a positive reputation. So be sure to make the right moves so you don’t get left behind by competitors. Keep these seven tips in mind when you try to revision your marketing strategy. By taking the time to implement these tried and tested tactics, you can help your humble home improvement business reach heights you’ve never seen before.